Papermaking felts are mainly used in the press section of paper machines. We offer papermaking felts to meet the operational needs of different paper machines and to withstand the required tension during operation. Its width can support a full width sheet of paper. ● Sufficient strength and deformation resistance. 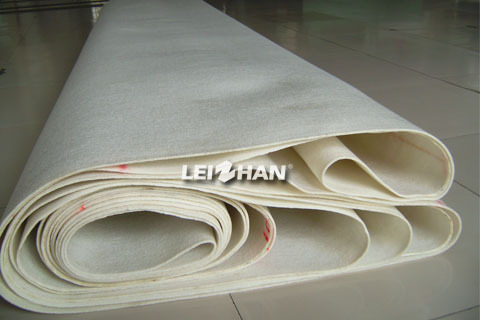 Paper-making felt can withstand the pressing of the pressure roller and drive the pressure roller to rotate. It maintains a long service life under repeated stretching conditions. This makes the surface of the compressed paper more smooth and it can improves the tightness of the paper. ● Superior thickness recovery performance and sufficient void volume. It can fully absorb and contain the water that is squeezed out from the wet paper. ● Good air permeability and drainability. This allows the air and water contained in the felt to be easily discharged. ● Strong anti-fouling ability and wear resistance. It can withstand high-pressure water rinsing and continuous blow rubbing or high-pressure suction of the felt trasher.